EngagingPatients.org Patient and Family Engagement: An Unwavering Commitment to Partnership - Welcome to EngagingPatients.org! Editor’s Note: This is the first in an occasional series of conversations with leaders in patient engagement. 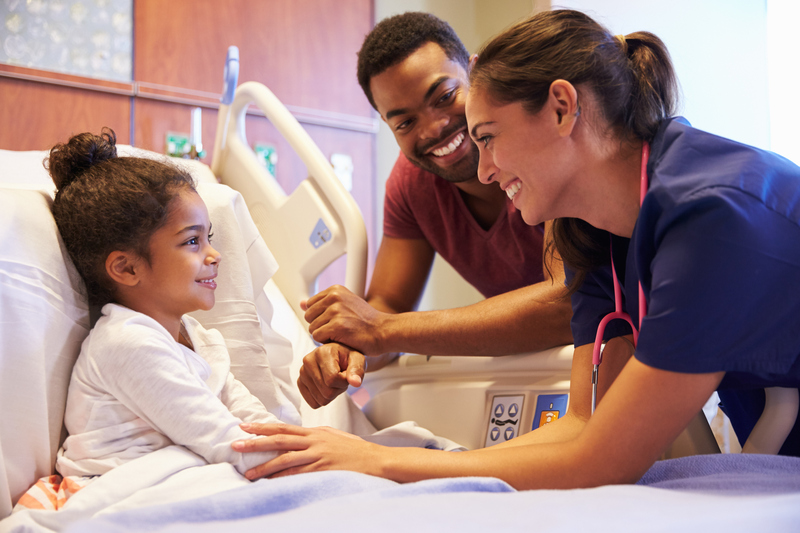 EngagingPatients.org recently spoke with Rachel Biblow, senior director of patient and family services at the Children’s Hospital of Philadelphia (CHOP). CHOP was named a winner of the Sherman Award for Excellence in Patient Engagement earlier this year. Rachel Biblow’s path to patient and family engagement began when she walked in the front door of the Children’s Hospital of Philadelphia as an intern 15 years ago. “I looked up in our atrium and thought, this place is magical,” she said. “There’s something very special about being entrusted to care for probably the most important person in someone’s life. She was hired after graduation from the University of Pennsylvania and has held a number of different roles. For the past seven years, she has been focused on patient-centered care and family services. Early in her career, Biblow recognized the need for patients and families to be more involved in care. “Especially in pediatrics, it’s really hard to design care without talking to families,” she said. It’s important to understand what patients and families’ lives are like outside of the walls of the hospital—to understand what their real lives are like and understand their goals. “We need to do a better job of understanding where our patients and families are coming from,” she said. “What is the information they need in their hands when they leave the hospital? As senior director of patient and family services, Biblow has oversight for social work, family relations, language services, spiritual care and family centered care programming including patient and family experience/satisfaction and the hospital’s resource centers. 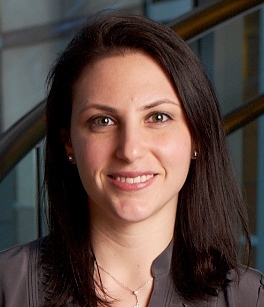 She leads the overall design and implementation of an organization-wide patient and family experience strategy to improve overall patient and family engagement and satisfaction. Since joining CHOP, Biblow said she has seen a shift in healthcare…for the better. Biblow credits CHOP’s success with an outstanding leadership team and philosophy. 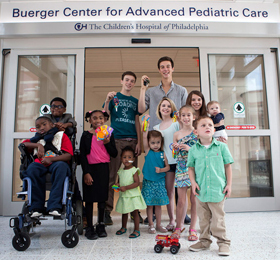 The hospital is deeply committed to partnering with patients and families in all they do—including designing care from the bottom up as in the case of their Sherman Award winning project, the Buerger Center for Advanced Pediatric Care. When CHOP officials started planning the new building, they integrated patients and families into the process from the start. “Families truly impacted the blueprints from day one,” Biblow said. While Biblow’s team focuses on how to build on great experiences system-wide and harness a level of partnership with families, it’s not always easy. There can be a lack of understanding about what patient-family-centered care means. Her team educates through workshops, Grand Rounds and sharing stories. They use families as ambassadors to help educate and share and they focus on best practices around conversation: The good, better and best ways to have conversations with families—conversations that are clear, informative, while still full of grace and compassion and care. Patient and family engagement also is not the same as patient satisfaction scores. Patient satisfaction scores are a limiting way of understanding experience, she says. They don’t encompass all that patient and family engagement is: Safety, empathy, quality, communication. What does Biblow consider the most pressing issue in the patient engagement space? It’s teaching everyone in an organization—from parking attendants and cafeteria workers to nurses and physicians—to communicate with compassion. She advocates for broad-based education that shows how to build relationships with patients and families. Ultimately, she said, patient and family engagement and partnership pays off in many ways including improved outcomes, satisfaction and loyalty. Patients and families who feel engaged become an organization’s best ambassadors because they can speak personally about their experiences. Healthcare organizations can ask themselves some questions to help guide their path to change: Are we investing in patient-family education that is truly engaging in a way that patients and families need? What are we handing people when they leave? Are we giving them information in the way that works best for them? Are we connecting in ways they need? As healthcare continues to transform, Biblow said she believes there will be a better understanding of patient experience, a different way to measure that experience and improved partnerships between patients and families and providers. Include patients and families in all initiatives (board committees, speaking at employee orientations—to remind them why they are there). Every touch point matters—it’s about consistency. Every touch point in the care continuum ties back to a patient and family. Invest in your people and work as one team (Our people are our greatest asset and we can achieve exceptional outcomes when we work together).